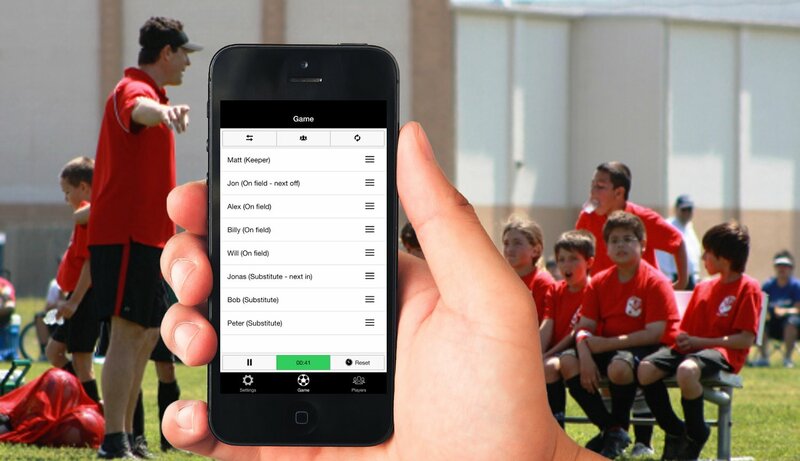 Keep track of player substitutions while coaching teams of any sport. Make sure all your players get equal playing time on the field. 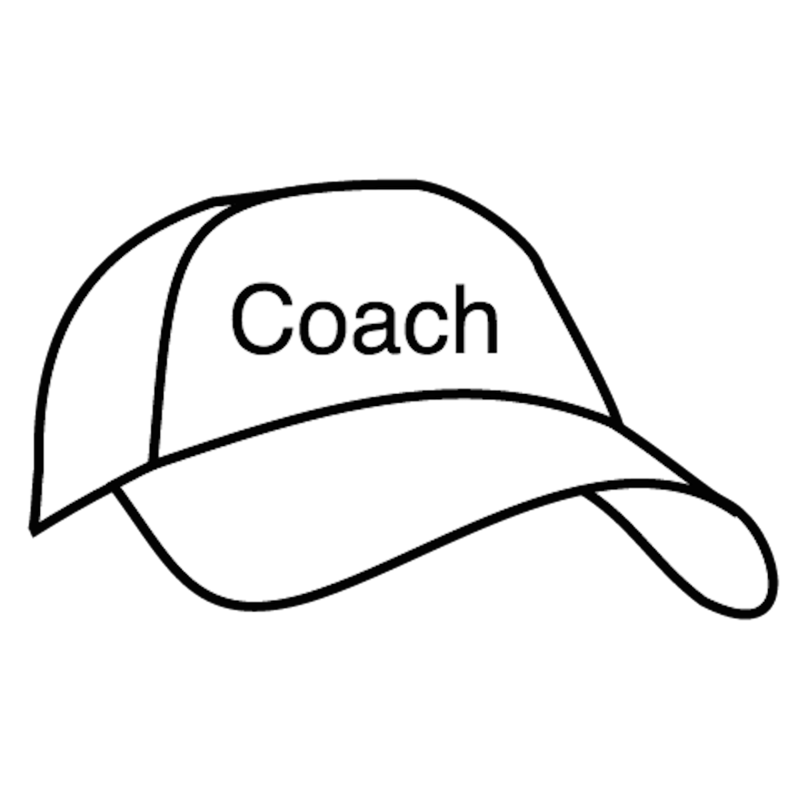 The app is especially suitable for teams of children coached by amateurs, typically parents. 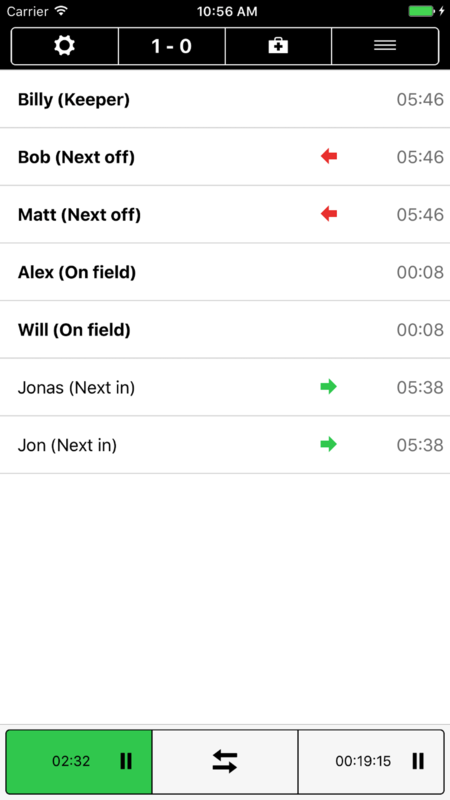 The app is easy to use and helps you focus on the game instead of the hassle of remembering who's the next substitute. 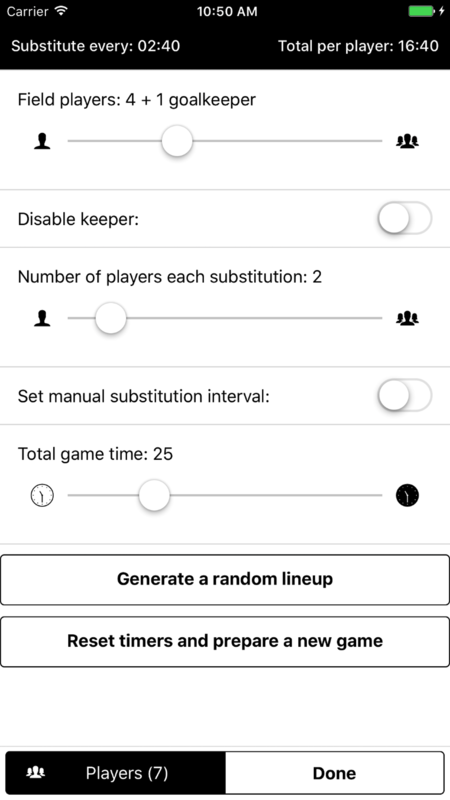 The app will let you know when it is time to make the substitution and which player is next in and out. 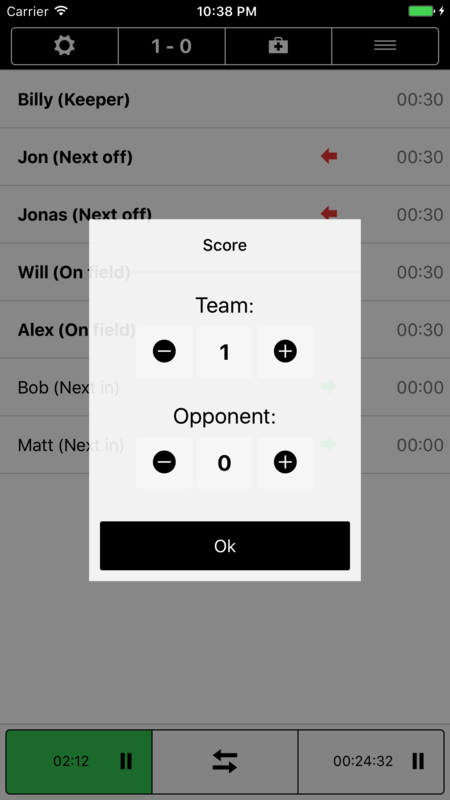 The app is designed solely for keeping track of substitutions, one match at a time. The app does not register scorers or other statistics. 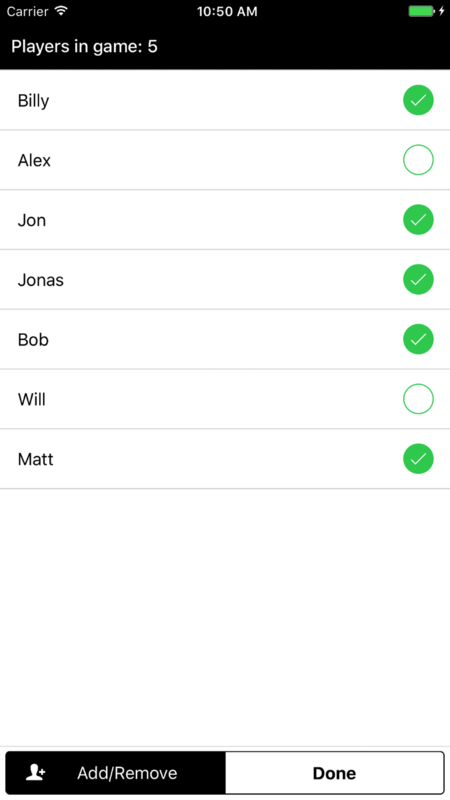 We focus on the core functionality of the app in order to keep a clean and easy-to-use user interface.